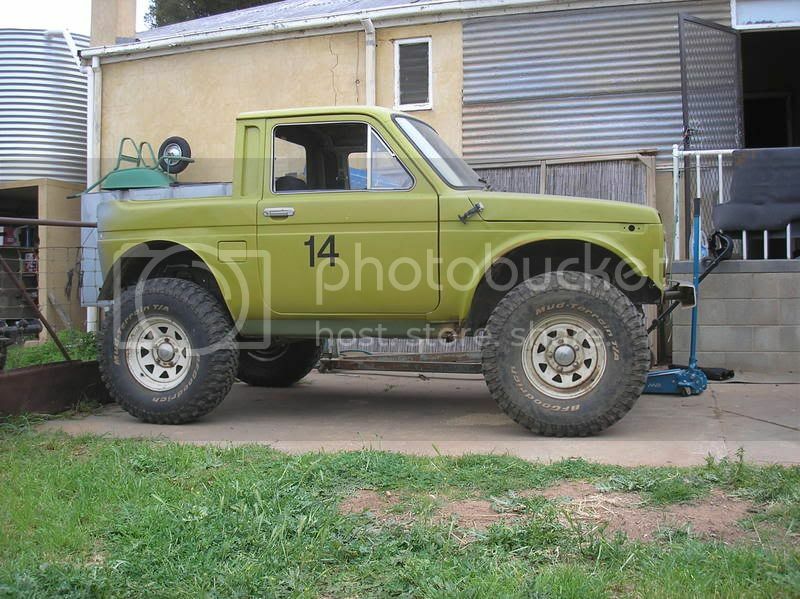 I just had a few questions about the Lada Niva, i think its a 1100. Does anyone have a HQ picture of the underside of one of these? From whats I can tell the rear diff is in the center, is this correct? I was recently given a Ca (1.8l fuel injected na motor) + auto box out of a Silvia from a mate. Ive been wondering what to do with it, one of the idea is to build a go cart, but sounds like a fair bit of effort. Guy up the road from me has a really rusty *****-box of a Lada Niva sitting on his front lawn (has not moved in the 1.5 years ive been here). So i was wondering if it were possible to fit a ca in there and just use it as RWD? I figure that would be easier than making a buggy or go cart. Dont Worry it would not be a road reg project, just something to play with at the farm. If it remotely possible i might go see if there gonna sell it or let it rust in their front yard. this picture shows the rear diff is centerd, but i havent been able to find any decent pictures. Bit diferent to a s13, but it will still be fun. Lada Niva has fulltime 4wd. So it has a front diff rear diff and central diff, which is lockable. Rear diff pumpkin is almost dead centre. More likely to be 1.6, although I believe a few 1100s came in, never seen one though. Thank you, Yours looks quite nice. There was also a diesel one, but could not find info on that. The Cade engine put out around 135 Hp / 117 FtLb Tourque. Guess i need to go see ther person up the road and introduce myself. Diesel was a 1.9 Peugeot jobby. In Russia this car is very common. Now it is called Lada 4x4. This car is 350 000 Russian rubles. On the Russian market is the cheapest four-wheel drive vehicle. This drove my grandfather. I remember I was little and we went to pick berries. Had to ride through mud and rough terrain, the machine could handle. In Soviet times it was of better quality than it is now.